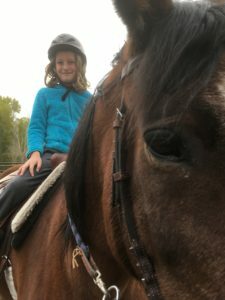 Introducing a horse summer program for kids. Every Tuesday from 9-11:30 am. Starting June 11th and ending July 30th. In these eight weeks, your child will learn proper care, handling and general horsemanship as well as learning a bit about themselves. Horses are great teachers for humans. The 8 week program is $200.00…the experience will be priceless! Sign up soon, limited to 6 children. * Note: Please enter the parent’s name on this page. Through the payment process, you will see an option to add special instructions to the seller. Please enter your child’s name in that box. Please bring a riding helmet if you have one, otherwise, one will be provided. Wear boots or closed toed shoes. No sandals or clogs can be worn around horses. Sunscreen, water bottle and hats are encouraged. Please send snacks if you think your child will need it.